This is the best place we've stayed from Florida to Maine. The staff in the office and on the grounds are outstanding. They are friendly and helpful. Facilities and location cannot be beat. 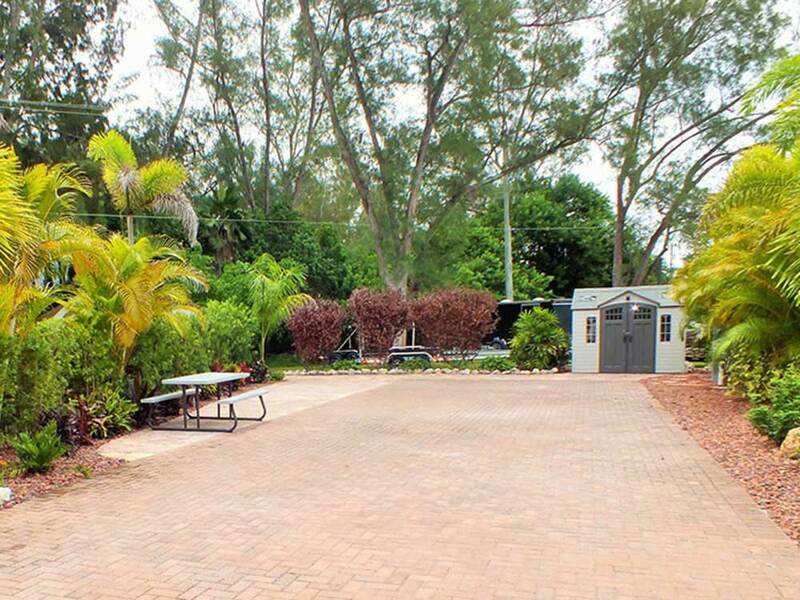 Boat launch on the property with access to Sarasota Bay. Easy walk to restaurants, shopping and the gulf beaches. Site owners are very welcoming to renters. The park is big enough to have what RVers like but small enough to be a very friendly place. Stayed here for 13 days and we loved the atmosphere and location. All the folks we spoke with were kind and helpful. We had kids and they loved it as well. My ONLY CRITISISM is the WIFI was non-existent. It was horrible and I found it rather disturbing that the company (Bright House) providing the WIFI to the park was there daily selling routers to every RVer there since non of us could receive a signal. For the amount of rent collected from RV'ers fixing the signal issue at the park seems more fair. This is something I hope is fixed or we may not be able to come back...my data bill was crazy. If not for the crappy WIFI I'd Give it 5 plus stars!!! Thank you for your feedback. FYI, Holiday Cove has invested in new towers to improve the WiFi capability throughout the park. The final modifications took place in late September, and we have not had any complaints about WiFi service since. We have camped here many times and have always had a great time. Close to the beach, shopping, restaurants, etc. The staff was always friendly, helpful, and would go out of their way to accommodate any request you may have. However, the HOA (owners) are now running the show and it's a whole different ball game! The park is far from the 5 star is was in the past. The outside staff is still very outgoing and helpful but the gal in the office that we dealt with at check in seemed very annoyed that we were bothering her. Never smiled, and said about 3 words to us. Not a good first impression for anyone checking in. If you need anything before 9 AM or after 4 PM forget it....there’s no one to help you. GREAT location but POORLY managed. We appreciate your feedback and are sorry for the delayed response. Holiday Cove is a 5-star resort and we are proud of the changes that have occurred since late 2015. Major staff changes have taken place and we have an excellent team. The resort is in tip-top shape, with even more improvements and our many return guests are commenting on their place in Paradise. We hope you come back and see for yourself. Great park close to Bradenton beaches. very level sites, with plenty of space for larger RV's. Park was renovated in the past few years with pavers and trees between sites. Staff was SUPER!